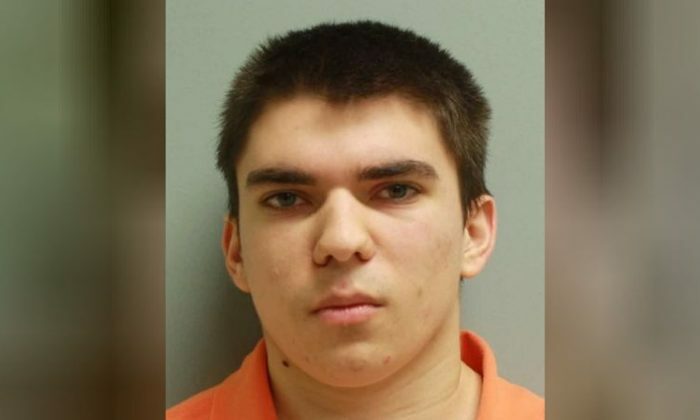 A western Pennsylvania man was sentenced on Monday to up to 60 years in prison for stabbing 20 fellow students and a security guard with two kitchen knives in a high school rampage in 2014. Alex Hribal, now 20, was 16 years old at the time of the attack at Franklin Regional High School in Murrysville, Pennsylvania, 18 miles east of Pittsburgh. He suffered from pre-schizophrenia symptoms, according to court documents. “I feel horrible about everything,” Hribal said at the sentencing in Westmoreland County Common Pleas Court, Reuters reported. “There’s no words I can use, and nothing I can say, to make it all better. There’s nothing I can say to fix it,” he said. “I would rather be in jail getting treatment for mental illness than free without it,” he also said, WTAE reported. Westmoreland County Common Pleas Court Judge Christopher Feliciani sentenced Hribal to 23-1/2 to 60 years behind bars and ordered him to pay $269,000 in restitution. “Each of the victims was consulted. They wanted 30-60 years,” Westmoreland County District Attorney John Peck said. “Although some have alluded to your actions as being caused by bullying, the facts do not support that,” Westmoreland County Judge Christopher Feliciani said, according to Triblive. Hribal pleaded guilty in October to 21 counts each of attempted homicide and aggravated assault. His mother, Tina Hribal, told WTAE that she should have recognized her son had a mental illness. “I should be sentenced, not Alex,” she said. In the attack, he used a pair of eight-inch kitchen knives and went after students in hallways before classes started in April 2014. Four were critically wounded. At the same hearing, several mental health professionals testified that Hribal’s untreated psychiatric disorders were to blame, saying he was obsessed with the 1999 Columbine school shooting in Colorado.